white flowers! 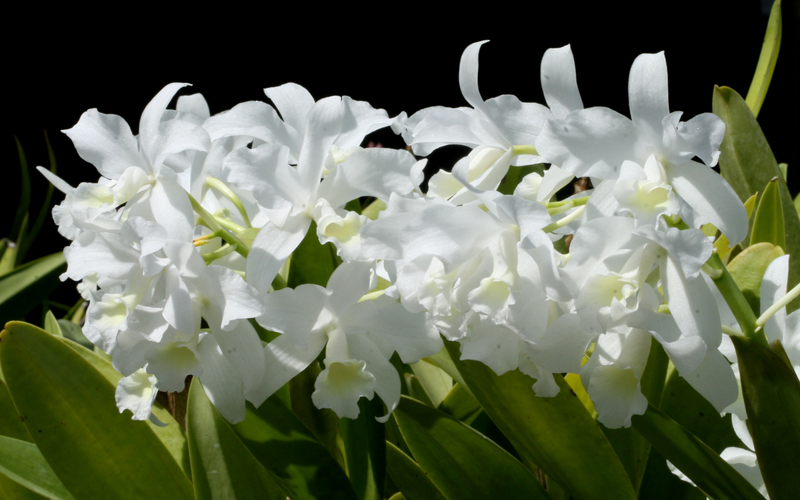 Very strong, vigorous grower and excellent bloomer. A few divisions available. $10,000.00 net. Easy to grow and very floriferous bifoliate species from brazil. Clusters of lavender flowers on erect spikes. BS - 6" - $25.00 and up. 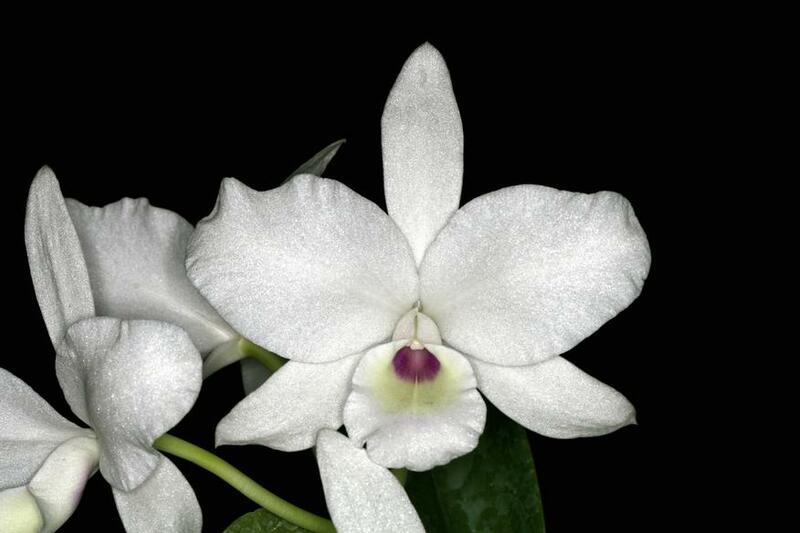 The virgin orchid from Trinidad, with fragrant, white, starlight flowers 2"
many flowered spikes. Summer blooming. B/S $20.00 and up. Lavender bifoliate spring blooming species from Central America. Terete leaved arrid growing species from Eastern Caribbean. very long internodes that grows well in rocks. 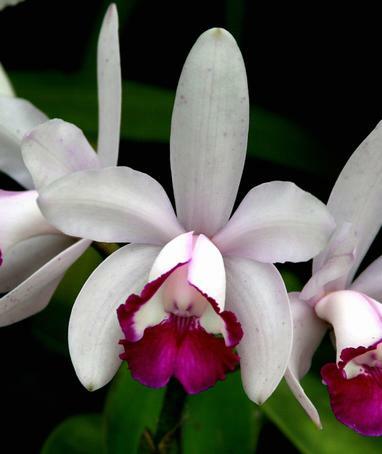 A species from Jamaica and the Dominican Republic. 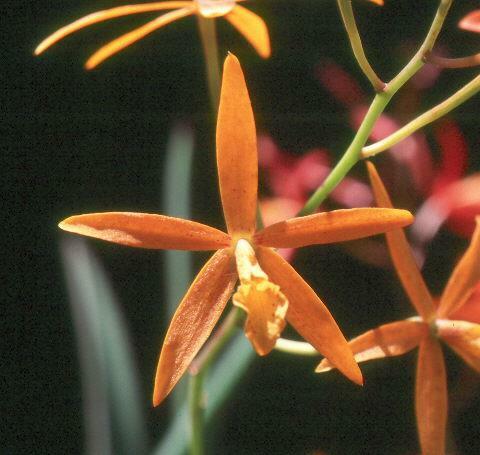 One of the first of this grex to flower was recognized with an Award of Merit by the AOS as a first Bloom seedling. See photo above. These are an extremely rare color form of the species also known as C. skinneri var autumnalis and C. deckerii. The very rare blue color form of the species. Expecting the absoloutely finest lavenders to be found abywhere. Exhibition quality with good form, size and substance. Expecting winter bloomig salmon coloured blooms in clusters on erect spikes. Good growers with multiple growths. Erect spikes of bright orange star shaped flowers. Vigorous growers. bearing bunches of jade green flowers with white lips.